Noodlecake Studios is a mobile games developer that, it so happens, has a very respectable Play Store presence. The company does well enough for itself, but in the spirit of giving, it has partnered with the folks at Humble Bundle to offer a rotating selection of its many titles at a steep discount. 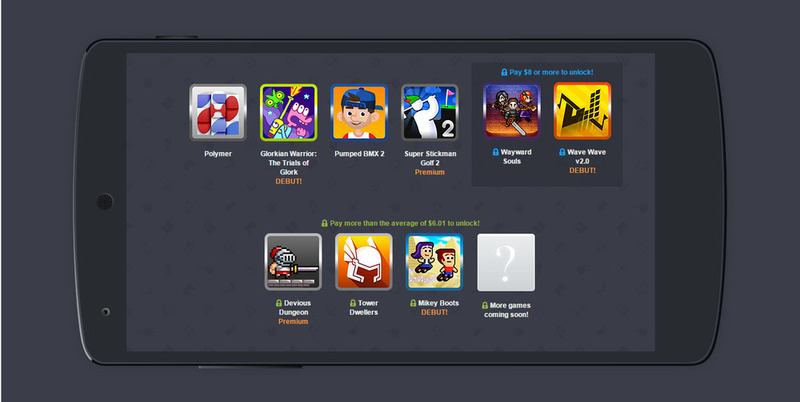 The Humble Noodlecake Bundle marks the second developer-themed bundle this season. For those unaware, games are split into into tiers: paying whatever amount you want grants you the first four games, but beating the average donation unlocks an additional three. Unique to this bundle, spending more than $8 yields two bonus titles. All of the proceeds, as per usual, are split among charities and developers. Some games will inevitably be swapped with others, but the bundle as it currently stands includes Glorkian Warrior, Pumped BMX 2, SSG2, and Polymer in the first tier; Mikey Boots, Devious Dungeon, and Tower Dwellers in the second; and Wayward Souls and Wave Wave 2.0 in the third. Noodlecake notes that all games with in-app purchases have had them removed, and that the current pack is worth $26. If you have been holding out for any of the above, now might be a good time to pull the trigger.